Make sure you don't miss out, and pre-order yours now! 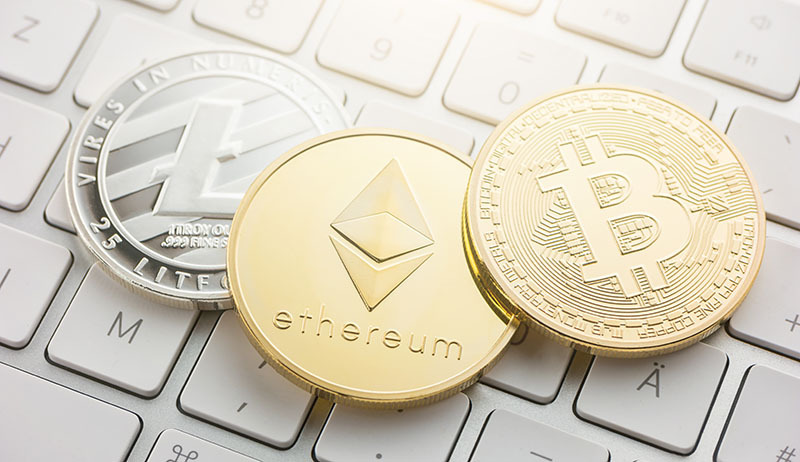 Part of the attraction of digital currencies is that transactions can be made quickly and easily, and somewhat anonymously. But, these features can also be negatives because -- without properly securing wallets and coins -- they can be lost or stolen just as quickly and easily! To deduct coins from a wallet requires only one piece of information - its private key. Anyone (or any application) with access to your wallet's private key, can drain its entire contents at any time - without any notification or your approval! Talk about risky! 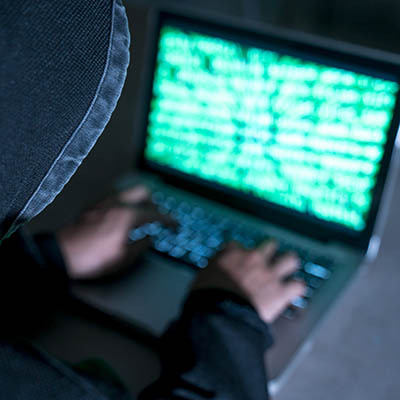 'Hosted' online wallets are convenient and easy to use, but lack security. The host maintains your private keys - and has complete access to your wallet. You must completely trust the host, or risk losing all your coins! For better security - take care of your own wallets and private keys. There are plenty of desktop and mobile wallet applications available. But remember, the app still has access to your keys, and any malware present on your computer or smartphone may also be able to steal your keys! Private keys should NOT be stored on a computer or phone. There a number of 'hard' wallets currently available that enable offline ('cold') storage of keys - they often look like USB thumb drives that are plugged into a computer when needed. This is a good solution, but with major flaws! 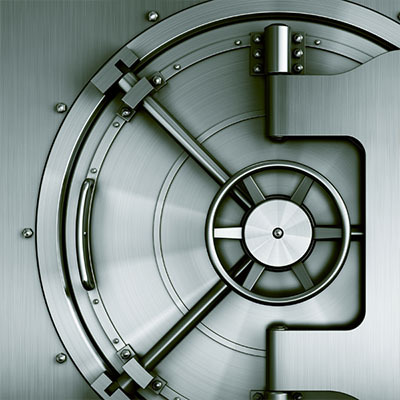 If the device is lost or stolen, all wallets and coins stored on it could be lost! To prevent complete loss, some devices offer 'recovery seeds' to recreate the wallet contents and recover the keys. 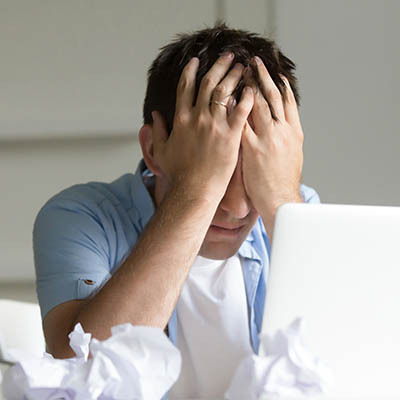 However, this involves writing down a long list of keywords and storing the list in a safe location. This is the weak link of a fairly secure system. After all, anyone who has your recovery seed has complete access to all of your wallets! Distrust and caution are the parents of security. 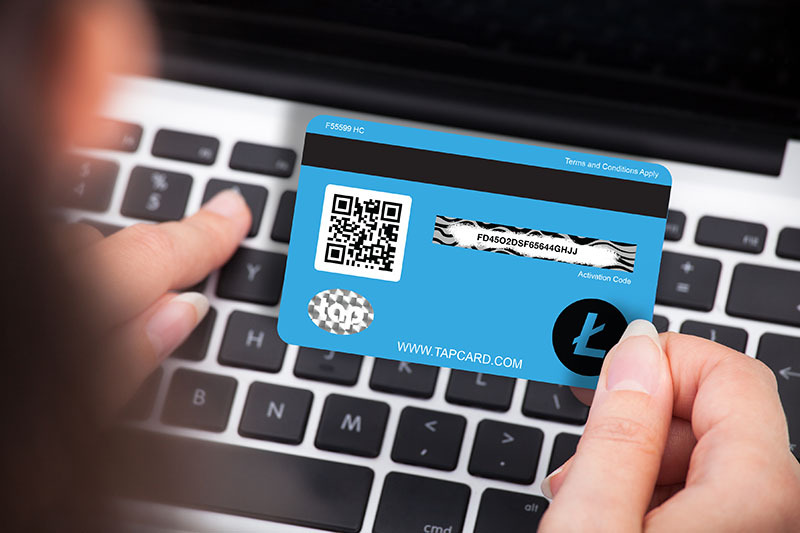 TAP Wallet is a revolutionary new hard wallet that secures private keys using smartcard technology that is already well tested and trusted by financial institutions and government agencies. 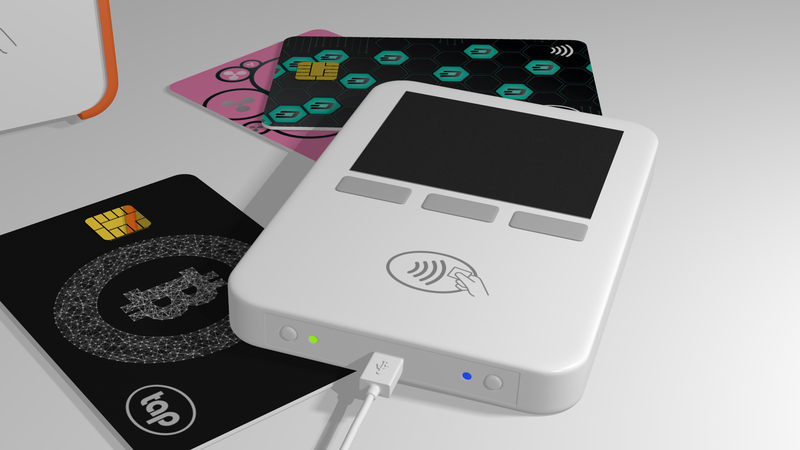 The solution consists of a 'hard' wallet - a small portable card reading device that securely connects to most popular computers and smartphones using USB or Bluetooth. Private keys are stored individually on smartcards that are inserted into the device. The wallet can interface with a variety of software wallets, and is used to sign transactions as needed - while always storing the private key securely on the smartcard. 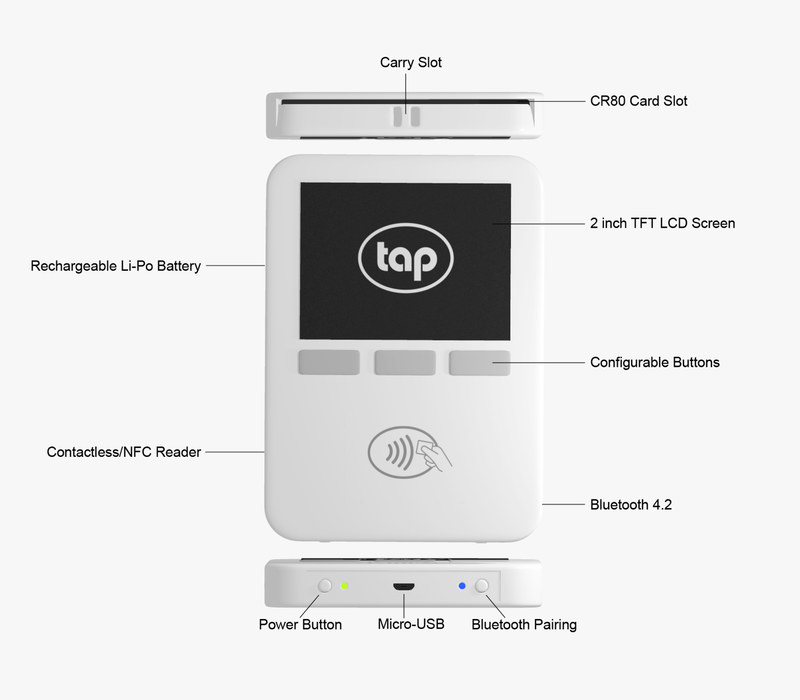 The TAP Wallet is small and portable - a little larger than a standard credit card. Typically, it will be connected to computers using a USB cable, and to smartphones using a wireless Bluetooth connection. In regular use, its rechargeable battery should last for weeks. Access to the device can be protected with a PIN and/or biometric such as a fingerprint. But because it doesn't store sensitive private keys, it poses no risk if lost or stolen! The 'smartcard' uses proven secure technology that has been used by financial institutions to protect accounts, and by governments to protect identities. Each smartcard stores an individual private key, and has a unique PIN assigned using the wallet. As a result, a device can be shared between family members, friends or colleagues each with their own cards! To protect against loss or theft, each card can be duplicated using the wallet and stored for safekeeping. No risky recovery seeds needed - and cards are always protected no matter where they are! 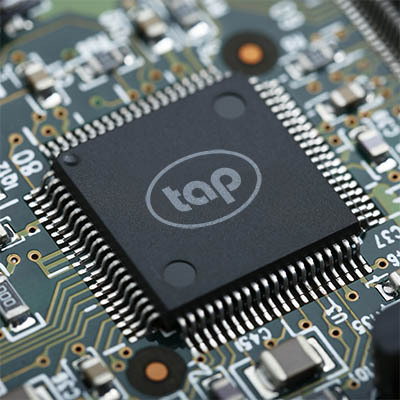 TAP Wallet is a product and service of TAP Mobile, LLC - a Silicon Valley startup company specializing in security solutions. Copyright © 2018 TAP Mobile, LLC All rights reserved.